With the guidance of Dixon Advisory’s Investment Committee, Matthew Turner provides personalised investment advice to help his clients in Sydney and Brisbane reach their financial goals. He believes that successful investment strategies must be built around the unique circumstances and requirements of each client. 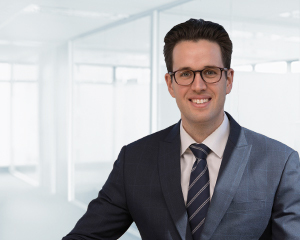 With changing market conditions, Matthew is confident that his clients will benefit from the combined expertise and innovative approach of the Investment Committee. Matthew has a Bachelor of Applied Finance and a Bachelor of Economics from Macquarie University. He also has a Diploma of Financial Planning and attained accreditation by the Stockbrokers Association of Australia to provide advice on securities and managed investments.